Thank you for your interest in working with us. 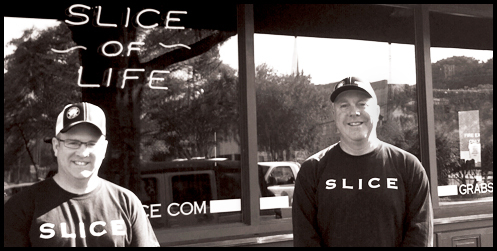 We are proud of our growth at Slice of Life and this is due to our employees. Slice of Life is a culture of respect and camaraderie that breeds enthusiasm. We are committed to the development of each employee and we train each individual to the best of our ability. Slice is looking for dedicated, fun-loving people to make the restaurant a success. Please take the application to the location in which you would like to work. If you have a resume you may attach it to the application, but you must fill out the application before submitting your resume.